Zoya Akhtar directorial Gully Boy has been going places with its super content and music. The film which is based on the life of street rappers Divine and Naezy is all set to premiere at the 69th Berlin International Film Festival. Ahead of film’s screening in Berlin, film’s lead stars Alia Bhatt and Ranveer Singh along with Zoya Akhtar and producer Ritesh Sidhwani shared with us a glimpse of their Berlin diaries. Excited star cast and makers of the film have been sharing pictures on their social media handle which have been trending on the internet already. 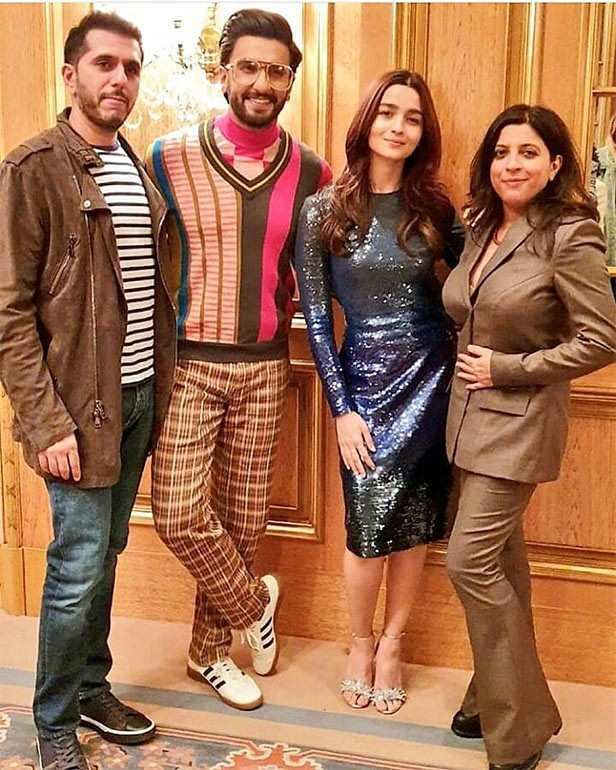 Ahead of their starry red carpet appearance, team Gully Boy attended a media interaction post which they headed for a sightseeing tour of the city. 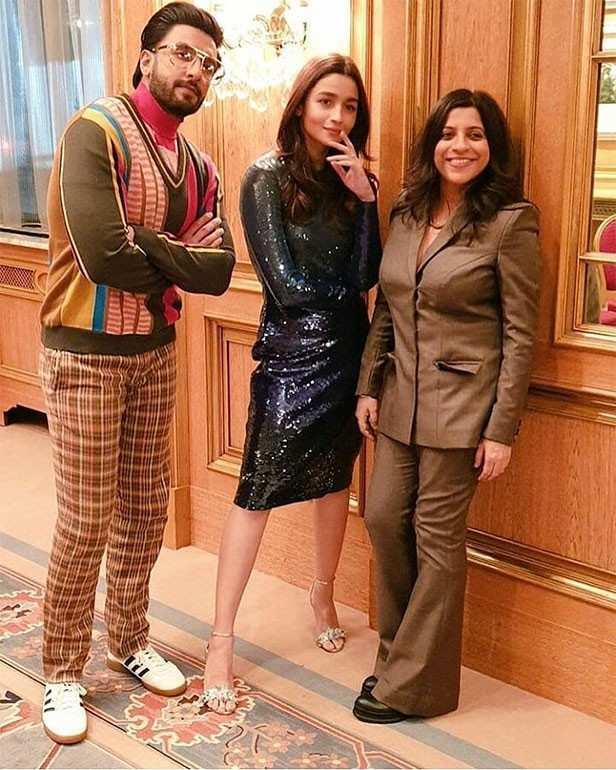 While Zoya Akhtar donned a classic brown Nikhil Thampi suit, Ranveer looked sharp in checkered trousers paired with multi-coloured striped pullover with huge tinted glasses. Alia Bhatt, on the other hand, stunned in a sequinned bodycon dress. Bankrolled by Excel Entertainment, Gully Boy hits the screens this Valentine’s Day, on February 14.